Shortly after the release of the Sword Art Online movie—Ordinal Scale—and the new manga—Project Alicization—the relentless SAO merchandizing machine has once again focused its cynical eye on video games. As a result, we now have Accel World vs. 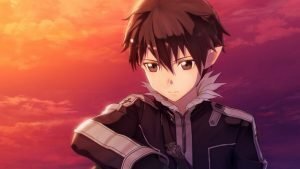 Sword Art Online; however, and to my own surprise, I suggest a closer look at this one before you completely write it off. Having said that, you’ll have to look very closely to see past the smoggy cloud of a quick cash-grab. However, for those who can see past the mist, this could be the greatest Sword Art Online game ever made. It’s also the only Accel World video game I could find with a North American release, but to be honest the Accel World stuff will be taking a back seat in this review. That’s because the Accel World stuff takes a back seat in the game as well. Actually, for as much as it holds onto the source material, you could have called this game the Fairy-Harem vs. Overly-Emotional-Silver-Pigman, and I doubt it would have changed much; although, that’s what I like about it. This game can stay in my library because it abandons most of things you would expect from a Sword Art Online game at this point. Everything about pretending you’re playing a fake VRMMO is gone—at least in terms of gameplay, and so are all of the useless systems that made previous entries feel bloated—like the dating sim elements. The bizarre practice of breaking the game-space into tiny sections that load separately is finally gone as well; actually, all they really kept from the standard template is some of the basic leveling up and loot collection. The only familiar aspect that remains is the insistence on having the entire cast appear again. Despite being dead since episode 3 of the first season of the anime, everyone’s favourite corpse Sachi is once again back in fighting form. To add insult to her mortal injury, they just insert her into the party without any acknowledgement of her situation, but I guess that’s to avoid favouritism since other deceased characters join the list of playable fighters as well. With all that said, what’s really unfortunate about Sachi’s inclusion is how she’s more useful than most of the Accel World cast, and I was actually impressed by the cast of Accel World. 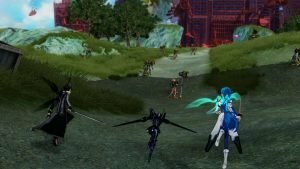 In a game that is so focused on SAO, the final product demonstrated great care and a lot of effort to be as faithful as possible to the Accel World source material. Blood Leopard—who was easily my favourite Accel World character in this game—can seamlessly transform into her leopard mode. The speed at which she runs around the map and the power of her attacks made her a very tempting party member. I was even more impressed that they modeled and animated Ash Roller’s motorcycle to be both a vehicle and a weapon. Unfortunately, I never did figure out how to put that hog in reverse, but that’s because the game forced me to spend most of my time with the Sword Art Online cast. 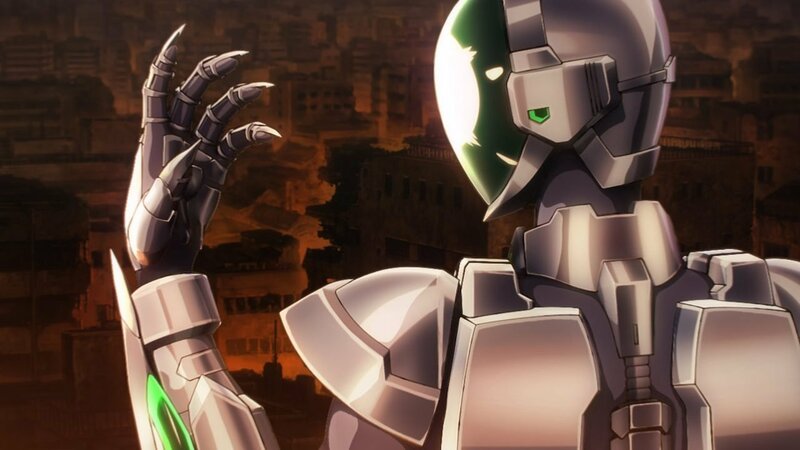 On paper, and without ruining the plot, the game takes place in a combination of the SAO and Accel World game-spaces; however, in reality it is basically the world of Alfheim Online—Sword Art Online‘s third arc—with some Accel World looking stuff here or there. 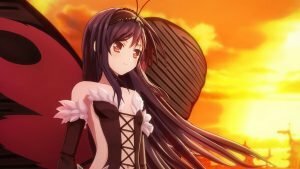 You rarely interact with the Accel World elements while playing this game; moreover, since the land of fairies can only be navigated properly with wings, the land based Accel World characters actually impede your progress. 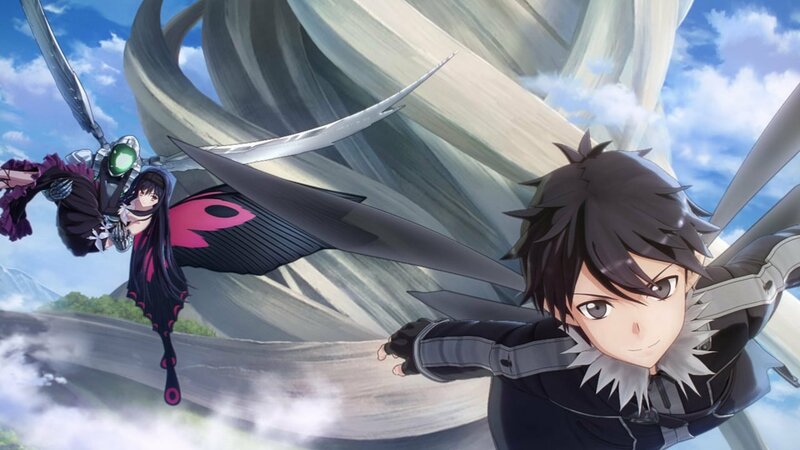 To the developer’s credit, they tried to make things as even as possible by giving all the Accel World characters endless mid-air jumps, but that’s nowhere near as fast, fun, or accurate as just keeping a SAO character in your party to fly around the map. Also since many of your opponents can fly, it is easiest to just roll constantly with some combination of Silver-Crow and/or the cast of Sword Art Online. Despite this, and a few other issues, Accel World vs. Sword Art Online knows what it wants to be from the very start, and I really appreciate that since most of the previous Sword Art Online games tried to be all things to everyone. I just really, really, REALLY wish that it didn’t want to be a mystery novel. At points, throughout the story, the game tries to add a bit of ambiguity by not revealing how to accomplish a goal. A simple and cryptic sentence is all you are given in these cases, and the game’s desire to force me to play Sherlock Holmes left me stranded on the same quest for days. Eventually I was able to track down a guide meant for people who imported the Japanese language version, and realized that I needed to enter a specific temple and activate switch B with key A. I had no idea that this would be the case since hacking and slashing had been the key to solving every quest until this point. Unfortunately, that’s not the only example of this game’s love of mysteries, but it is the simplest representation of a problem that almost changed my recommendation from positive to negative. In hindsight, I was surprised that I needed a guide at all since the game includes so little gameplay. I would estimate that with a guide the average player will take about 7 or 8 hours to finish the campaign, but about half of that time will be spent watching the exposition dumps as every major and minor character from both franchises has their five minutes in the spotlight. I can’t really take marks away for this since the game is not poorly made; it was just designed with a lot of exposition in mind. However, the game’s reliance on talking heads will make the campaign frustrating for some. If you’re someone looking for something that is a bit more action focused, than this should be a big red flag. In the case of Accel World vs. Sword Art Online there is a little bit to much gameplay for me to make any Asura’s Wrath references; however, the large dumps of exposition really push it towards visual novel territory. More visual novel comparisons can be made regarding the presentation in general terms. 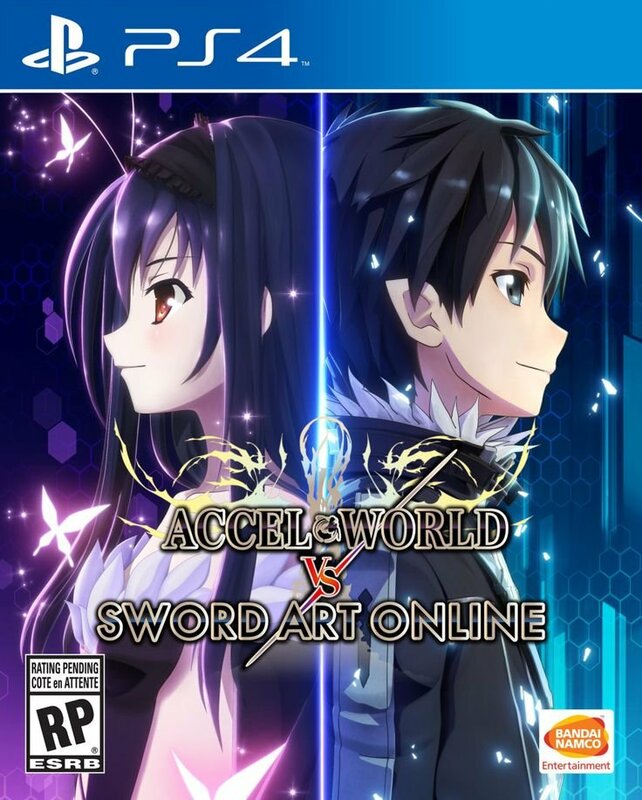 I don’t think the game looks terrible, but Accel World vs. Sword Art Online isn’t going to push any graphical limits either. I would like to make a comparison to action-adventure games of the last generation, but I feel like that would be mistaken as an insult. Generic would be the most accurate word I could use for the visuals and the music. The voice acting seems okay, but since I don’t speak Japanese I have no clue about the quality; although, I never felt lost due to the subtitles. The online part of the game tries to bridge the gap between gameplay and exposition by offering a few more chances to swing a sword with your friends or grind levels with strangers. 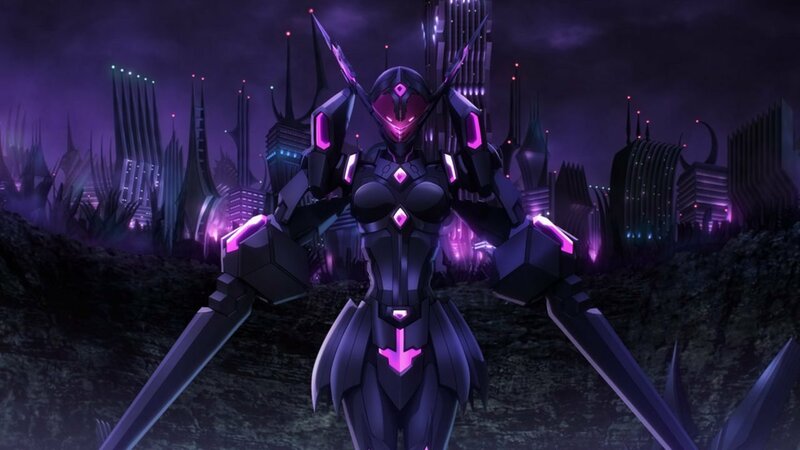 Online in Accel World vs. Sword Art Online is like a highlight reel of the campaign. The lobby of multiplayer is the “town” of the campaign, and once there you can sign up to join a quest—kill a campaign boss again for loot—or face off against other players in PvP combat. The ability to rank up various party members online makes this mode more useful than the multiplayer of most SAO, but online is usually included to extend the life of a game. I would not call the multiplayer in this game robust enough to really keep gamers going for long after the campaign is done. Basically, Accel World vs. Sword Art Online is a nice romp back into the world of SAO with some Accel World characters tagging along. I was ready for another fake MMO with dating sim elements, but instead we got a nice and simple ARPG. There might be to much story for some people to stomach, and the Accel World cast is kind of just there; however, the game allows you fight a little, switch between characters in the middle of most situations, collect some loot, watch levels raise, spam flashy moves with simple two-button combos, and play online with other fans of the source material. This title will not be making any game of the year lists, but fans of both SAO and Accel World could find value in it. That said, if comments like baby’s first Sword Art Online game, or Sword Art Online light, offend you then I would suggest you take your money elsewhere.